A one-night ticket costs 5000 €, but still, there are so many people wanting to buy one, that the train company has to draw the tickets among the potential buyers. The trips are filled months before they due date. 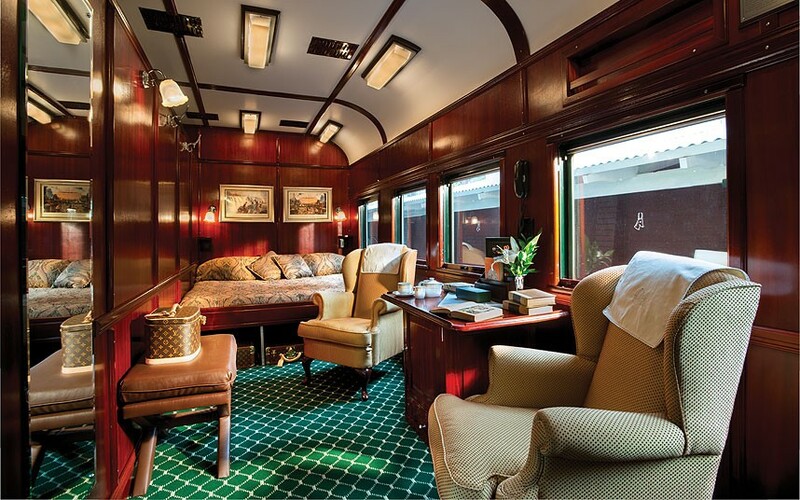 Maximum 30 passengers are allowed to travel on the train, it has 14 luxury rooms. Around 1000 people apply to one room on each trip. The Seven Stars train is in Kyushu, Japan. The terminal at the station is luxurious as well where delicious dishes are being served. Building the train had cost 22 million euros. The last room in the back of the train is the best one, it has a panoramic view to every direction. The cabin was made of mahogany, it has an own toilet and shower room. The staff is exceptionally nice and polite. The chef is one of Japans greatest sushi master. Naturally there is a room service and we can get our drinks in less than 2 minutes.